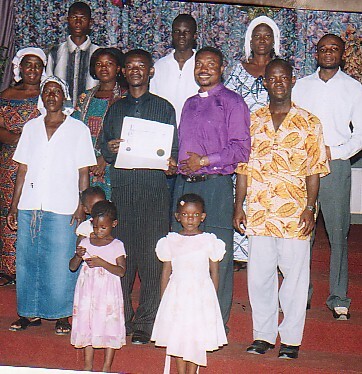 Below are a few pictures taken during Pastor Sylvester Ordination and credential presenting ceremony in my church in Accra, Ghana.There is a picture I took with Pastor Sylvester and some leaders of his congregation with his three children and one of my DMI church pastor, during the credential presentation ceremony. 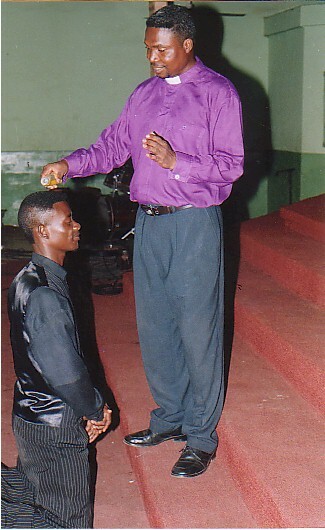 I also have below a picture I took with Bro.Sylvester when I was presenting his credential to him. 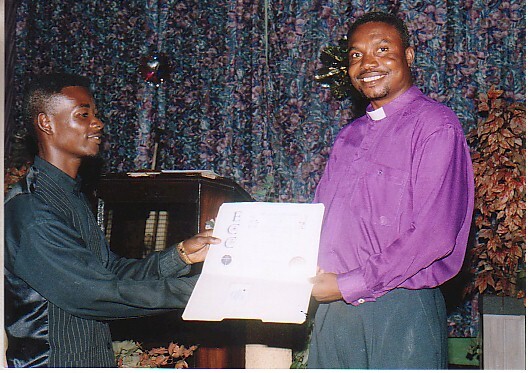 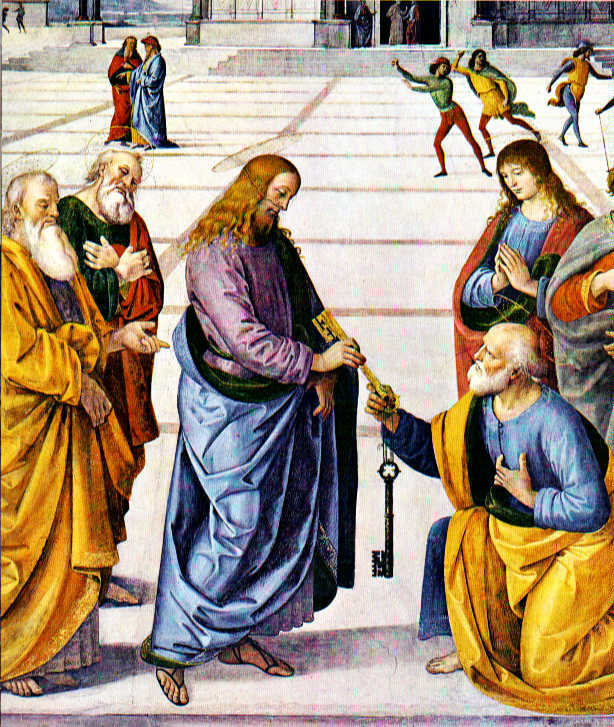 And of course a picture taken during his ordination.